I love your little journals! Are you just using waxed bookbinding thread to attach the signatures? It looks like a coptic stitch, but I can never figure out how to get that double loop around my front and back covers. 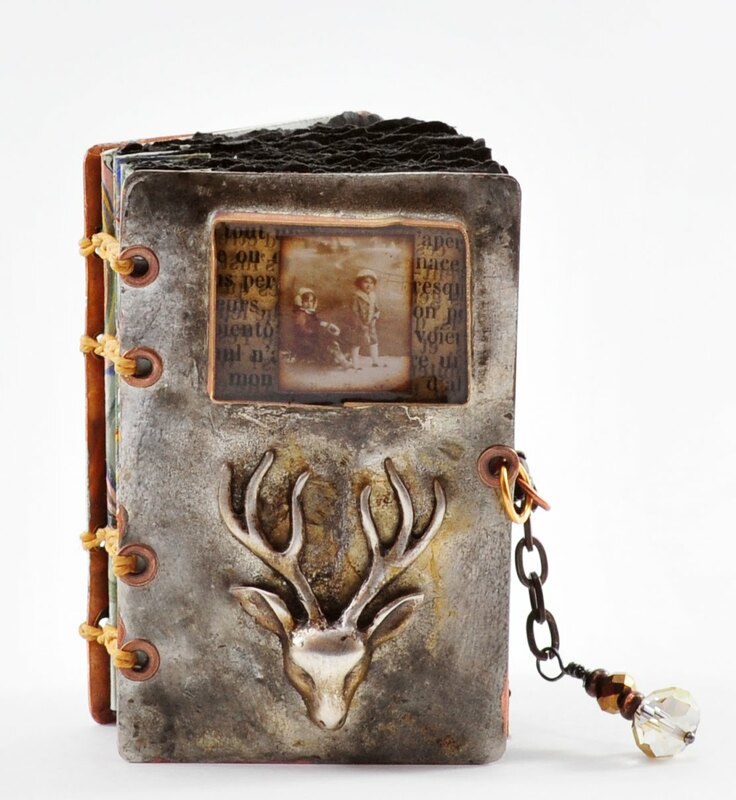 I have made a couple metal journals like this but am afraid the opening/closing repeatedly will eventually chew through the binding. Yours are all just beautiful! just beautiful as always! have a joyous holiday! Buon Natale! Amazing! Love how you have been using black pages lately too. Love, love, love it. Did you sculpt the deer? These books are beautiful Leslie! I do love the torn black pages. Oh, this looks snowy. Is is supposed to? It's lovely! And just the peek of the edges of those pages makes me want to open it!